Numerous tornados were reported in the Richmond area. News4 obtained video from that area that shows debris swirling through the air. The remnants of Florence hit areas around I-95 in Virginia hard on Monday, and there's more wet weather to come before the storm clears. Flash flood watches remain in effect through early Tuesday in D.C. and parts of Maryland and Virginia. Areas along I-81 in Virginia, including Winchester, Frederick County and Rappahannock County, are under a flood watch until the early hours of Tuesday morning. See all regional alerts here. Rappahannock County Public Schools will be closed on Tuesday due to dangerous road conditions. The Tuesday morning commute may be wet, but most of the storms will come through after lunchtime. Some of those storms could be strong with heavy rain, the National Weather Service said. In the D.C. area, rainfall amounts will be around an inch or less, Storm Team4 says. The Shenandoah Valley could see up to 3 inches of rain, with the heaviest most likely Monday afternoon and possible again later Tuesday. The rain will come to an end Tuesday night. Tornado watches blanketed the D.C. area for several hours Monday but were canceled around 8 p.m.
One person died in a building collapse after reports that multiple tornadoes touched down near Richmond, Virginia. The National Weather Service said that storm weakened and ended tornado warnings in the area. Once the storm is out of the area, we'll get what may be our final taste of summer. Wednesday and Thursday will be sunny and warm, with temperatures in the mid-80s. Temperatures could reach 89 degrees Friday. Virginia Gov. 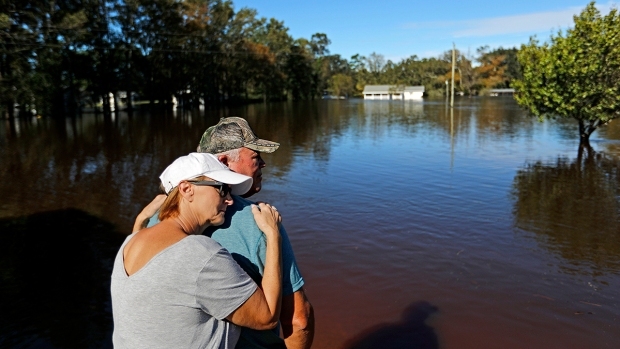 Ralph Northam warned residents in the southwest part of the state to prepare for flooding and possible landslides early this week. Northam said in a news release Saturday that emergency management officials were working to move people and commodities into place to prepare for flooding, including swift water rescue teams. By Monday, rainfall amounts were not looking to be as heavy as previously expected for southwest Virginia. It's now looking like southwest Virginia may get 1 to 2 inches of rain; however, it could still get as much as 6 inches in some spots. 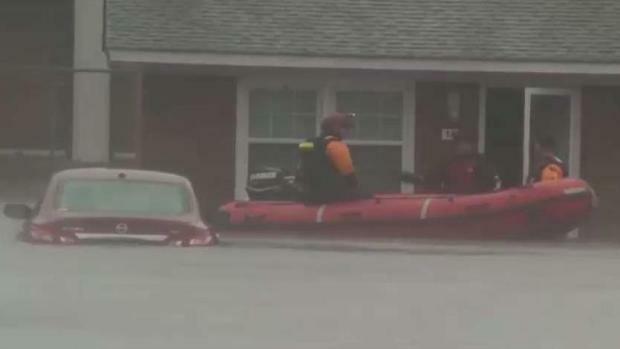 Hundreds of thousands of people are without power and rescue crews saved hundreds of people from the rising waters after Florence hit the Carolina coast. News4's Jim Handly reports from Greenville, North Carolina. The Virginia Department of Transportation (VDOT) is recommending that drivers monitor weather and road conditions as the remnants of Florence move through parts of the commonwealth. "Drivers should exercise caution as recent rain and ground saturation have resulted in flooded roads and downed trees," VDOT said in a release Monday. For the latest Virginia road conditions and travel information, you can call 511, go to www.511virginia.org or download the mobile app at the website. 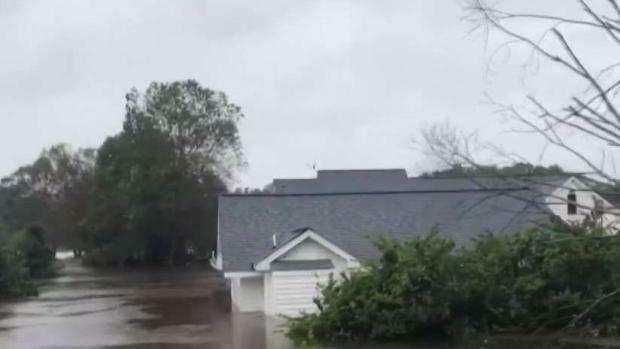 Homes in Kinston, North Carolina, were almost completely under water Sunday after rains from Florence caused a river to overflow. News4's Chris Lawrence spoke to a resident who took his boat out to see the damage. To report downed trees or hazardous road conditions, go to my.vdot.virginia.gov or call VDOT at 800-FOR-ROAD (800-367-7623).